Since the revival of so-called 'Entartete Musik' in the 1990s, interest in Karl Ignaz Weigl�s music has grown, but he still remains a largely unknown figure to most listeners. Weigl was born in Vienna in February 1881 and had private composition lessons with Alexander Zemlinsky, a family friend. 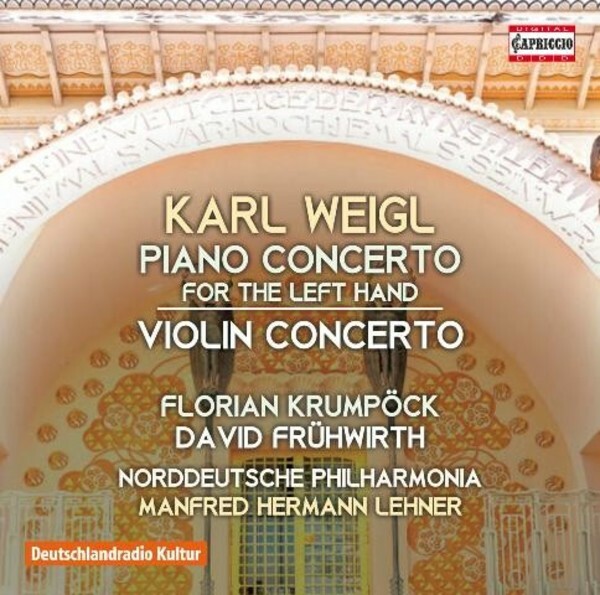 By the early 1920s, Weigl was an established figure in the musical landscape of Vienna and it was probably for this reason that he was approached by the one-armed pianist Paul Wittgenstein to compose a left-hand piano concerto. Paul�s family fortune enabled him to commission some of the most eminent composers of the day to write works especially for him: Korngold, Britten, Hindemith, Prokofiev, Ravel, Franz Schmidt, Richard Strauss and Karl Weigl. Unfortunately, for reasons unknown, Wittgenstein failed to perform Weigl�s concerto. Thus it was that the concerto received its belated premiere in 2002 in Vienna by Florian Krump�ck, the soloist on the present recording. Despite his no doubt discouraging experience with Wittgenstein, Weigl returned to the concerto medium four years later with a Violin Concerto.